Spirals, vortices, crystalline lattices, and other attractive patterns are prevalent in Nature. How do such beautiful patterns appear from the initial chaos? What universal dynamical rules are responsible for their formation? What is the dynamical origin of spatial disorder in nonequilibrium media? Based on the many visual experiments in physics, hydrodynamics, chemistry, and biology, this invaluable book answers those and related intriguing questions. The mathematical models presented for the dynamical theory of pattern formation are nonlinear partial differential equations. The corresponding theory is not so accessible to a wide audience. Consequently, the authors have made every attempt to synthesize long and complex mathematical calculations to exhibit the underlying physics. 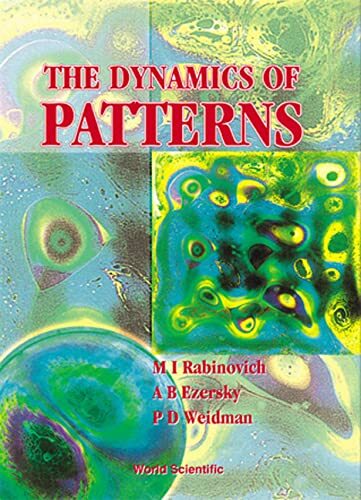 The book will be useful for final year undergraduates, but is primarily aimed at graduate students, postdoctoral fellows, and others interested in the puzzling phenomena of pattern formation.